The issue we are interested in with the Hackable City project is, put simply, how digital media can democratize city making. How can the city be made “hackable”, that is, opened up to other people than professionals in order to shape their own living conditions? As explained in an earlier post, the concept of “digital media” is understood in a broader sense than just the technologies (machines, objects). Digital media also involves social practices and institutional arrangements, as argued by Leah Lievrouw and Sonia Livingstone in their Handbook of new media (2002/2006). This mean that we focus on both the technics and the logics of new media. 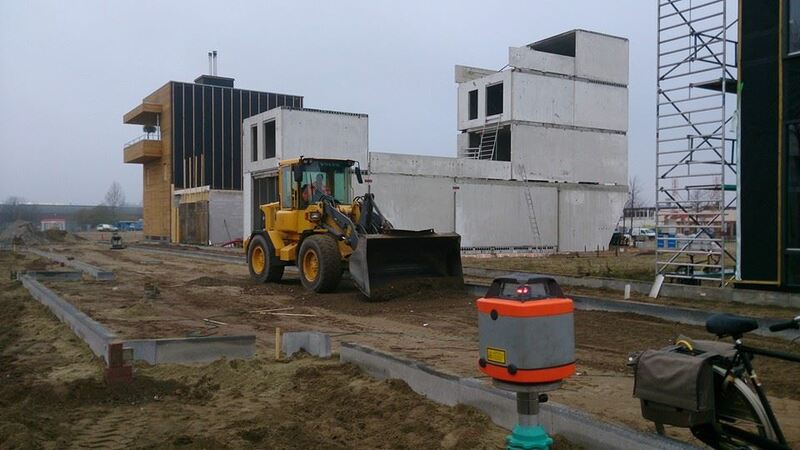 When it comes to building new homes, the challenge is particularly daunting in the Buiksloterham. How can this brownfield area in Amsterdam North grow from 200 inhabitants to over 10.000 people? And can this happen during a period of financial crisis leading to a complete freeze of every traditional building activity? What alternatives are there to build homes and develop a new neighborhood? Self building emerged as an answer to these questions. Self building involves both private individuals or households who build their own home, as well as small collectives of about 15 – 50 people who build a shared apartment building together. Many shades of grey exist in terms of the financial and organizational constructions under which collective self building happens. Some are at the wheel themselves, hiring architects, constructors, consultant, and so on, to help realize their shared dreams. Other projects are initiated by architects and allow for varying degrees of consultation and customization. The increasing number of people who are building their own homes seem to be indicative of a trend of non-experts doing it themselves, participating and engaging with their city differently. Self building to us seems to epitomize the principles and practices of hackable city making. 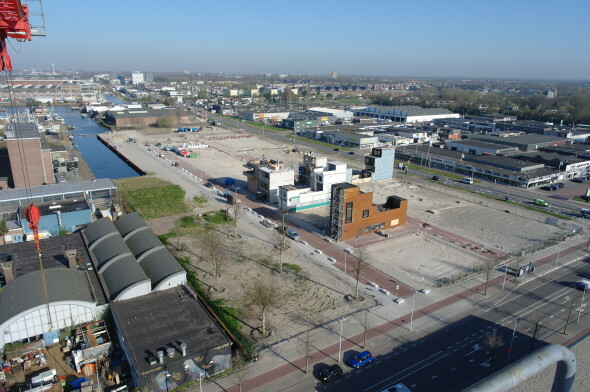 In this report I present some of the findings from our ongoing research into such new developments in city making in Amsterdam’s Buiksloterham area. The report is based on semi-ethnographic fieldwork in the period between Sept. 2014 and end of 2015. This consisted of unstructured and semi-structured interviews with more than 20 self-builders and other stakeholders. Interviews were done by Melvin Sidarta, our intern in the period 1 May. 2015 – 1 Dec. 2015, and/or myself. Interviews are coupled with participant observation during multiple public and closed meetings in and/or about the Buiksloterham area in Amsterdam. Speaking to various people involved in self building allowed us to get a better understanding of what drives these people, what structural issues they encounter, how they deal with them, how they balance between individual stakes and efforts and collective processes, and how they deal with institutional stakeholders. Moreover, this approach helped us to inductively develop underpinnings for our intuitions that the notion of hackability productively frames current bottom-up city making processes, and provides a compelling narrative for a research and design-agenda about people-centric smart cities. A sense of doing things together is crucial. According to many of the people we talked to, new collective practices of city making is all about identity: identity of the neighborhood, identity of the people living there. How do groups get a feeling of togetherness? Who are these people and what makes them a recognizable group, which allows investors and other parties to become interested in doing business with them? The question of collective identity also plays a role at the level of new services. Do you arrange services like water and energy provisioning individually, collectively, or publicly? And how do groups manage trust and risks among themselves? The messy practices of self building teaches that there problems will inevitably arise, since there are always trouble makers in the group. Self builders all face steep learning curves. To some degree they all must reinvent the wheel. Currently, self builders are sharing information and knowledge via platforms like Facebook, Whatsapp, various website, face to face conversations and public or closed meetups. This makes it pretty difficult for other people to find existing information and build upon this knowledge. Moreover, similar to open software development, individual experiments and innovations are often not properly documented and non-transferrable. We found that several knowledge gaps exist. One is between advanced and beginning self builders. Another is between self-builders and (semi-)professionals who have the vocabulary and understand the processes but rarely actually built a home from scratch themselves. A third gap exists between self-builders who engage in experiments, and institutions who also experiment, like the municipal “team self building” or public service companies. We made a productive distinction between generic information about self building, information that is basically the same for everyone and everywhere, and specific knowledge that is often tied to a particular context or phase. From this difference, we envisioned a “flow” between a collective body of generic and explicit information and the specific contextual tacit knowledge that is frequently tied to individuals. This observation contributed to our further abstraction into the hackable city scheme (see below) as an attempt to model current city making practices as a multi-level hackable system. There are chances for individual self builders to share generic information on a public Wiki, and receive specific knowledge from the collective via a type of knowledge marketplace. Data can help to make the story about self building visible and measurable, and institutionally anchor self building as a viable and resilient city making practice. Municipalities and other institutional parties could provide better policies and services if small self building initiatives succeed in delivering indicators and metrics that support their claims that self building is a quicker, more innovative, more diverse, more robust and sustainable approach to area development. We observe striking parallels between the original hackers, computer hobbyists who write their own software for existing machines and shared that among each other and with the world, and current city makers who similarly contribute innovations for their city with limited means. Just like hackers, today’s new city makers use digital media to bend around or begin various urban infrastructures, systems and services. 3) hackability of institutions, that is, the structural affordances at the level of organizations and public governance to be open to systemic change from within or outside. We consider a city hackable when there are dynamic and resilient relationships between the levels. Figure: Hackable City Making dynamics. Self building in Buiksloterham combines these levels. The individual level is made up of self builders who each acquire their own piece of land, and start “hacking” on their own home. The collective level consists of those activities and events at the group level that transcend the individual plot. Connections between the individual level and the collective level are forged when people start sharing resources like generic information and specific knowledge about, for instance, dealing with infrastructure companies, to collaboratively start working on public green spaces. When enough people keep sharing, benefits can be reaped individually while still strengthening the commons. The institutional level is composed of the various parties who are responsible for setting the conditions for self building and providing the infrastructures. Relationships between the collective and institutional levels are based on a reciprocal exchange between providing credible metrics about self building as a viable alternative to traditional building practices, which in turn may lead to new affordances, frameworks and opportunities for self builders to go from innovative experiments to upscaling. Existing urban systems and infrastructures like water supply, energy provisioning or housing are often characterized by a static division between supplier and buyer. In the hackable city these relationship are rearranged and become more dynamic. The collective level is a crucial hinge in getting the system to move. Digital media technologies help to do so, as tools at the individual level, as new sets of practices at the collective level, and as institutional arrangements. Hackers are characters who speak to the imagination. The hackable city provides a storyline about urbanites who use digital media technologies to – sometimes against the odds – make their own city. As we outline in our recent manifesto, the notion also has an element of provocation and friction. Some people will associate hacking with disruptive or even illegal activities. Other will think of a libertarian Silicon Valley ethics of self governance, own responsibility, and technological solutionism. However, many authors have pointed out that hackers often like to work in groups and share their efforts, thus contributing to the common good. The notion of hacking deliberately used these tensions to hone the discussions about the future of our cities. Who have the right to make the city? Instead of being a hermetic narrative that offers a singular solution to complex challenges, the story itself is open enough to be “hacked”. It ties together multiple levels of individual hacker attitude, collective hacker practices, and institutional hackability. It addresses economic challenges (how do we build resilient cities after the financial crisis, what are new business models), spatial and social questions (how do we deal with cooperative area planning, demographic shifts, new types of communities), cultural changes (how do we leverage contemporary do-it-yourself culture, the reshuffling of roles between professionals and amateurs) and governance issues (how can we shape the participatory society, what roles are there for institutions). In the hackable city urban designers, institutions and citizens work together to build the city of the future in participatory, innovative and sustainable ways.